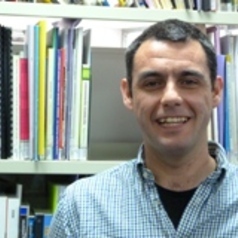 Francisco joined the Brotherhood of St Laurence and the Melbourne Institute of Applied Economic and Social Research in March 2011. He holds a Master degree in Economic Analysis from the Universitat Autonoma de Barcelona and completed his PhD in Economics at the Universidade de Vigo in 2009. After finishing his Postdoctoral studies at the London School of Economics and Social Sciences in 2011, he was appointed in the Ronald Henderson Research Fellow position at the Brotherhood of St Laurence and the Melbourne Institute, University of Melbourne. His main research interest is distribution analysis including the measurement of poverty and multiple-deprivation, income and wealth inequality, and the pro-poorness of growth. Despite of being an early career researcher Francisco has already published in leading journals in the field of economic inequality and income distribution such as the Review of Income and Wealth, the Journal of Economic Inequality, and the European Journal of Law and Economics. He also has considerable experience in collaborative research projects funded by public and private institutions. −	An Assessment of the Public Pensions System in Spain: the Determinants of the Contributions to Private Pension Plans and its Effects on Aggregate Savings. FRIPOS Project Funded by the Spanish Ministry of Labour and Emigration. −	Social Exclusion in Spain and the EU: the Distribution of Wealth, Income Dynamics and Labour Market. Funded by the Spanish Ministry of Education and Science, October 2008 - December 2010. −	Exclusion and Social Development in Spain. Funded by Foessa Foundation.